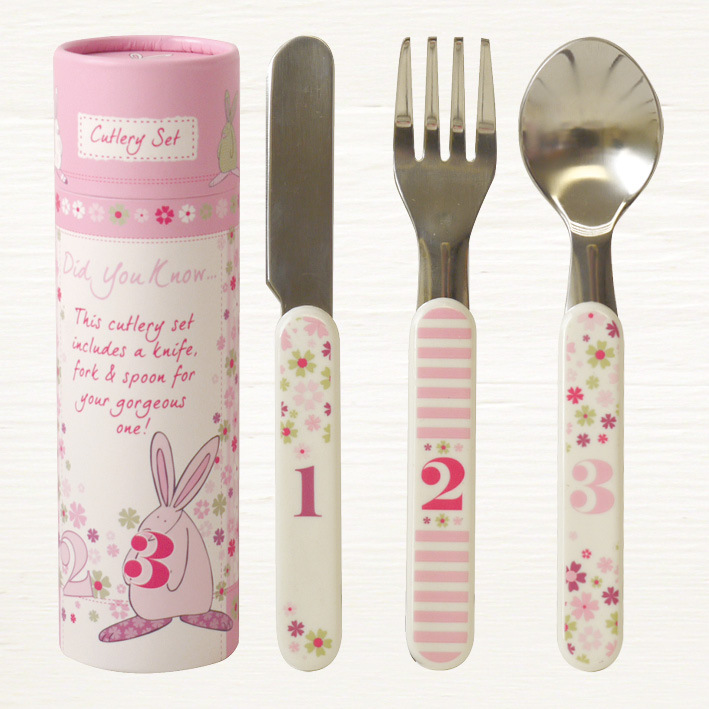 Rufus Rabbit's Baby Girl Cutlery Set. 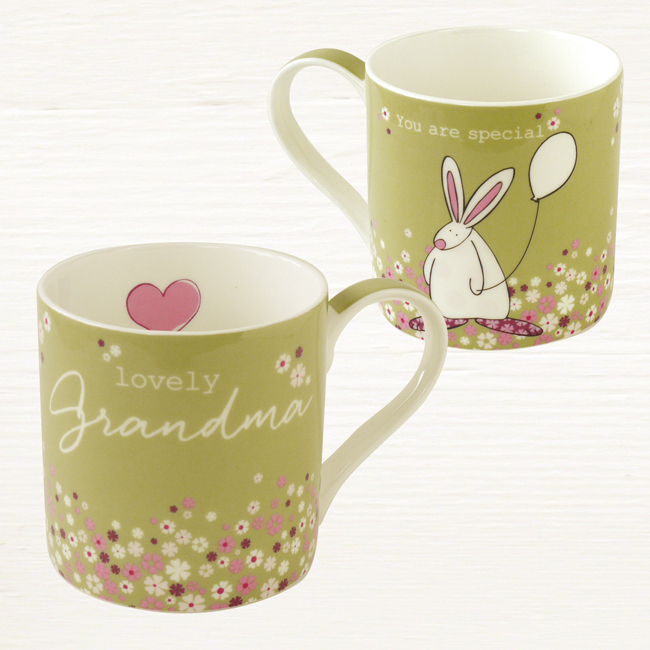 The perfect extra set to be kept at Granny when special one's visit! 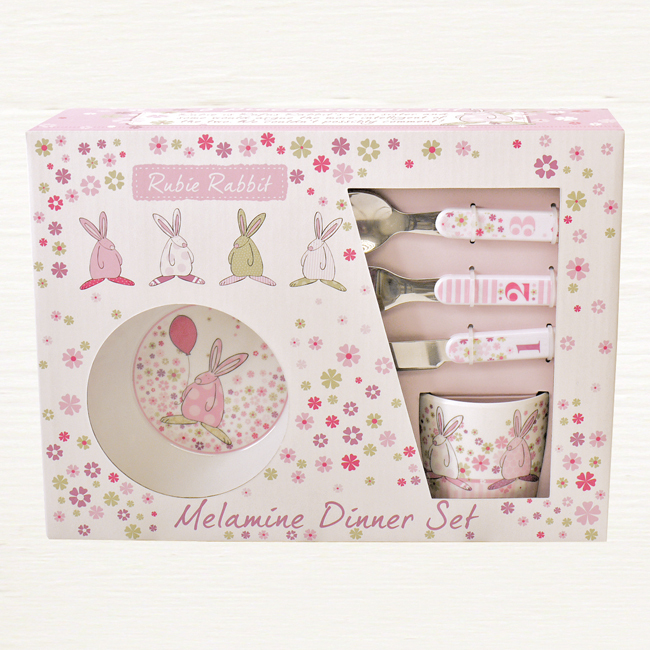 As a double bubble bonus to the dinner sets, we also have this baby girl cutlery set available as a separate gift line. 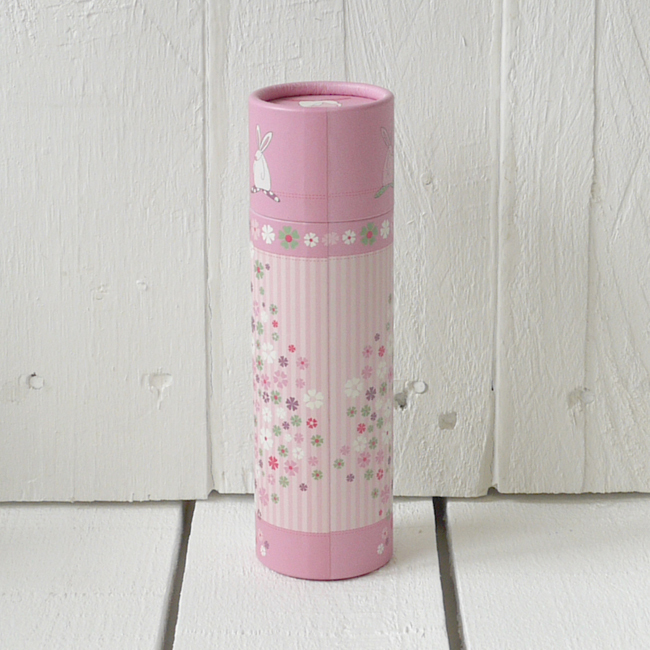 Packaged the Rufus way … really nicely! 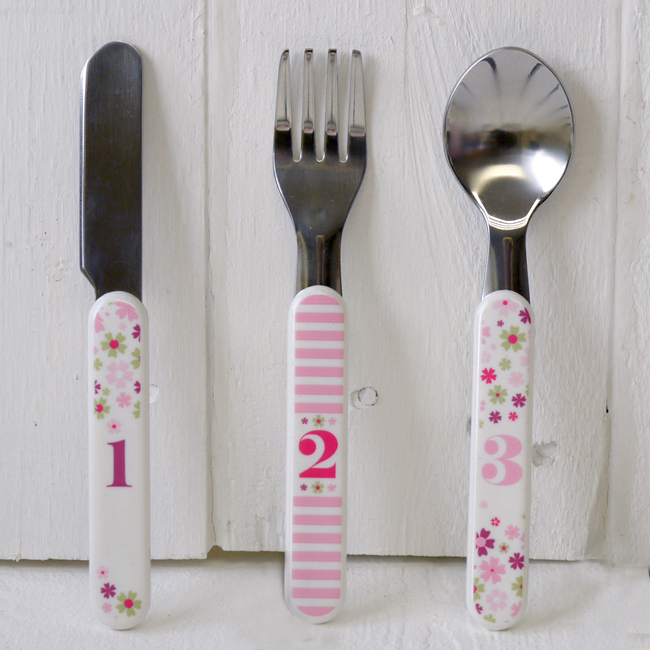 This baby girl cutlery set is proving very popular as an extra set to have at Granny and Grandad’s house, perfect for when your special one’s come round for their dinner! A bit about the bunny. 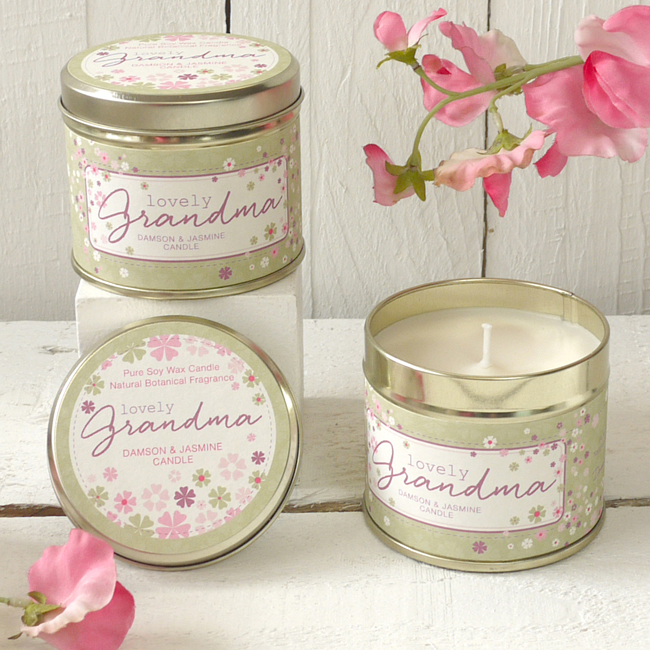 Rufus’ special talent is packaging and this plays an integral role in the creation of a gift worthy to place at the feet of a new arrival. 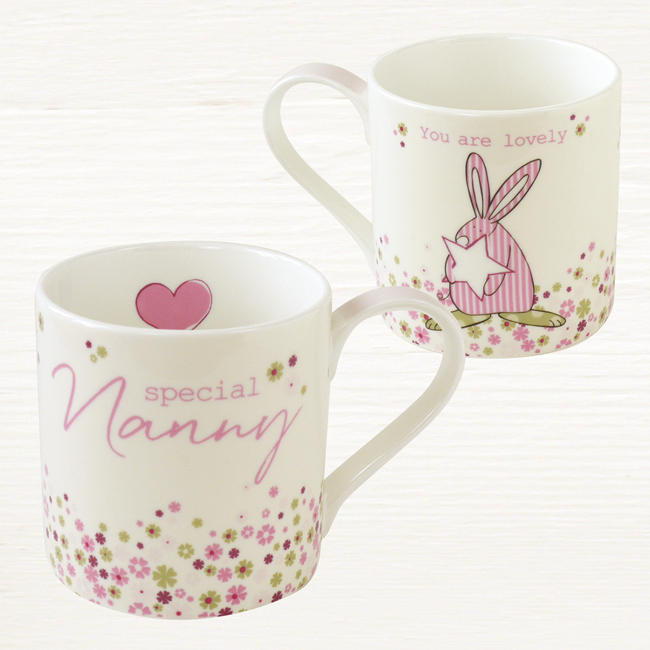 This parenting lark can get pretty tough and bringing up bunnies is much easier if it’s a team effort which is why Rufus Rabbit likes to include the other special people in a little ones life. 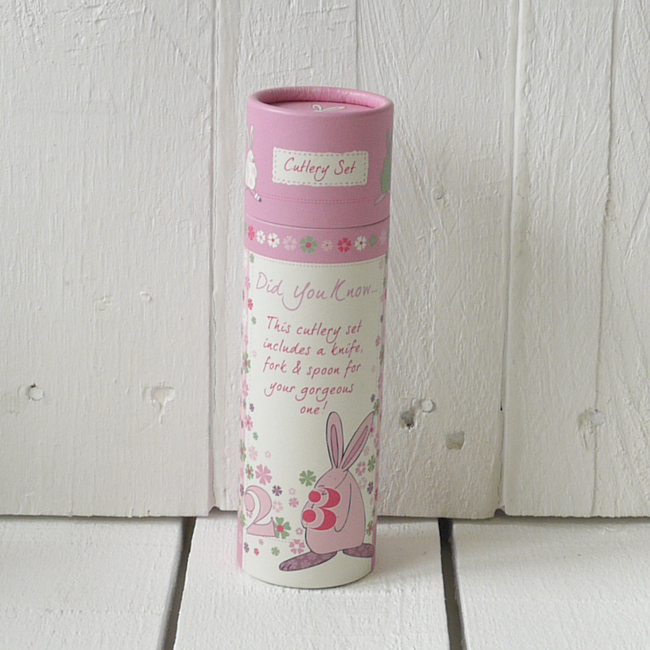 Many things make Rufus smile, chocolate dipped strawberries and a job well done rank very highly on his list but if he becomes the “chosen one” in your special bunny’s world (even if the moment is fleeting) he beams from tip to toe for weeks on end. It is an incredible honour and one he never takes for granted.